The best of a BB, a CC and a tinted moisturizer…with a 215% increase in skin hydration after just one week,* this is a whole new way to think about makeup. 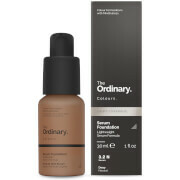 Features a non-chemical, mineral-based broad spectrum SPF 30 to protect skin against UV damage and environmental aggressors. Shade: For medium skin with neutral tones. *Based on average results on an independent U.S. clinical study of 63 participants. 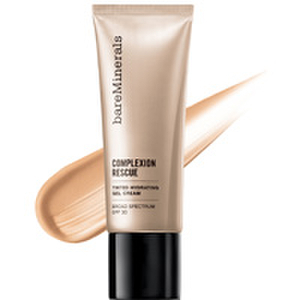 I started using this product this summer in the Tan color. It was great! No bronzer needed. 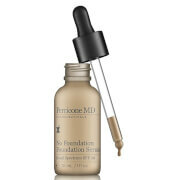 I apply the Complexion Rescue with the brush designed specially for this product and I think the results are amazing. 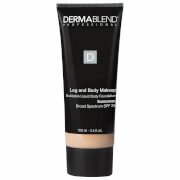 It gives my skin a dewy finish, without looking greasy as some BB creams do. It held up great to the heat and humidity of summer. As summer winds down I needed a color closer to my natural skin tone and the Natural fits the bill. I may end up blending the two together for a while to try to hang on to some summer color. Use sparingly, a little goes a long way!